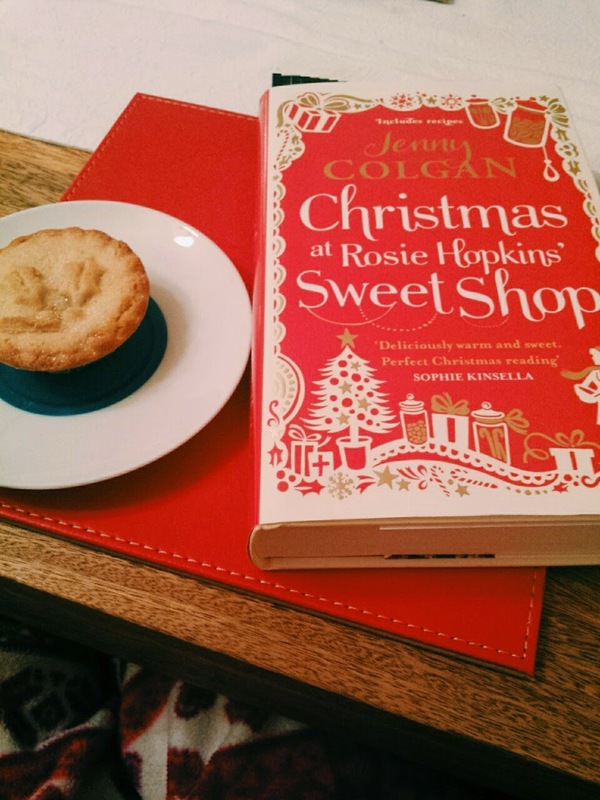 It’s almost a week until Christmas and I’d like to introduce you to the festive based book I have been reading all this month, ‘Christmas at Rosie Hopkins’ Sweet Shop‘ by Jenny Colgan. Rosie Hopkins has been running the sweet shop in Lipton for a year now but her business is threatened after an accident in the village. Christmas should be a time of joy but Rosie can’t relax and enjoy herself when she is worried about the shop, coupled with the stress of her chaotic family descending upon her from Australia. Rosie should be able to talk to her boyfriend, Stephen, but he’s having problems of his own and instead of the festive season bringing them together, it seems to be driving them apart. I’ll admit that this isn’t a book that I would usually pick to read as fluffy literature can tend to be a bit hit-and-miss sometimes. But after taking a look at my bookshelf, I decided I needed more Christmas orientated books and Amazon suggested this and into the basket it went. I had never read book by Jenny Colgan before, nor had I read the first book in the Rosie Hopkins series, so I was a bit nervous going into it as I wasn’t sure if I’d take to Colgan’s writing style or if I’d be able to keep up with the characters and their lives. Alas, I needn’t have feared because Colgan included a quick overview of the first book, explaining everything there is to know and as you progress through the book, you get general subtle reminders of just who everybody is. I was pleasantly surprised by how much I enjoyed this book. It had me laughing at the rivalry between elderly residents Ida Delia and Lilian, at the friendship between Moray and Rosie and then a chapter or two later I was tearing up at Henry Carr or Stephen and Rosie’s relationship. It was beautiful. I loved the setting of Lipton, a little snowy village where everybody knows everybody else’s business, particularly Rosie’s shop with its array of treats, both old and new. But while Lipton may be a tiny village, a lot of drama ensues this particular Christmas. There is a lot going on within the book, but none of the stories seem to overshadow the others and I enjoyed every aspect. Rosie and Stephen are great main characters and I could relate to them well. The plot is full of dramatic, even clichéd situations – among others: a nerdy child whose ‘earth mother’ is about to have a new baby, a lovely gay doctor, a confused elderly man, a threat to the school – it’s a very enjoyable and immersible book which makes ideal reading in the run-up to Christmas. I particularly enjoyed the rapport that developed between Rosie and her small superhero-loving niece, Meridian. Fluffy chick-lit? No doubt about it. Parts that will tug at your heart strings? Check. Puts you in a feel-good festive mood? Definitely. With a satisfying and tear jerking ending that was reminiscent of something from a rom-com. The characters and the book as a whole are fun and light-hearted, but there are some touching moments too ranging from one man’s battle with dementia to poor little Edison and not to mention Stephen and Rosie. I thought the book was a fantastic festive read, full of fun and laughter as well as heart. In addition to this, the book even has fun little recipes included at the back for sweets and treats that can be found in Rosie’s sweetshop which I can’t wait to try out. Although, I would like to do so without scoring myself a trip to Lipton’s rather grinch-like dentist Roy Blaine. I can’t wait to read more from Jenny Colgan in the future! All pictures featured in this post were taken by me. Please send a e-mail tosamkilfordblog@gmail.com if you wish to use these photos elsewhere outside of my blog, I will be expecting credit. All opinions featured in this post are my own.